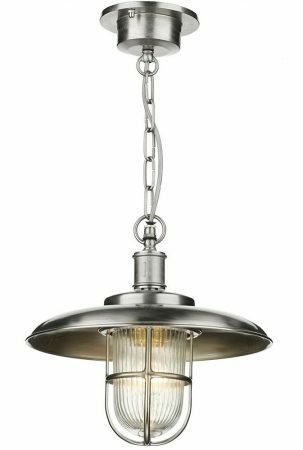 This David Hunt Captain nickel plate solid brass hanging porch lantern is rated IP43 and features classic nautical style. A quality exterior porch chain lantern constructed from nickel plated cast brass, with cast ceiling mount, chain suspension and lantern. Featuring a wide brimmed shade, metal cage and ribbed pill glass shade. 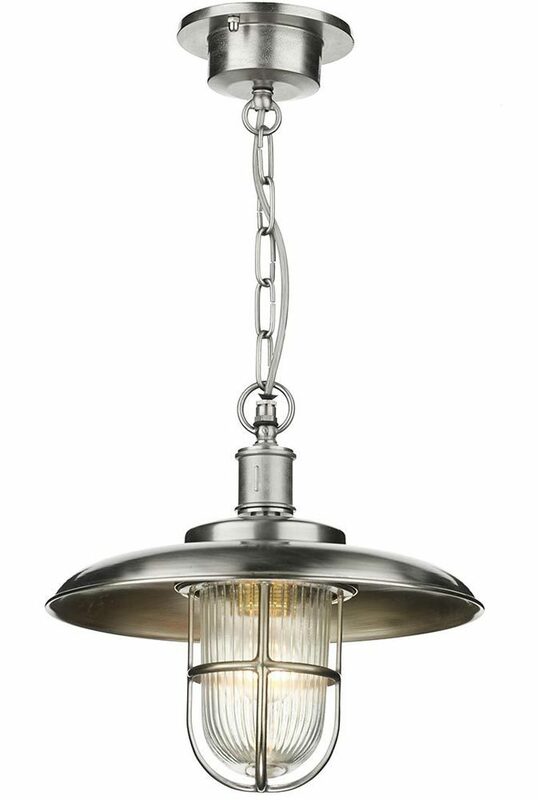 Now you can add a little bit of nautical charm to your outdoor lighting with this wonderful porch light. The functional design is enhanced by the use of nickel finish solid brass that will give many years of service without losing its good looks. Fully weatherproof and supplied with a manufacturer’s 2-year warranty. Also available finished in oxidised or antique finish solid brass, please scroll down this page to view. The Captain nickel plate solid brass hanging outdoor porch lantern and rated IP43 is designed in the UK by David Hunt Lighting and manufactured in the EU.